The main goal of this study is to suggest quantitative social metrics to evaluate different sugarcane biorefinery systems in Brazil by exploring a novel hybrid approach integrating social life cycle assessment and input-output analysis. 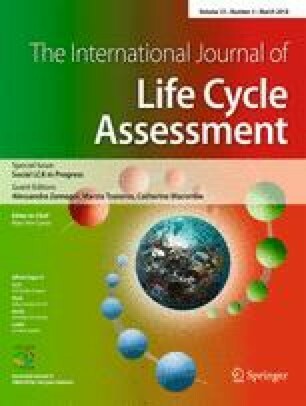 Social life cycle assessment is the main methodology for evaluating social aspects based on a life-cycle approach. Using this framework, a hybrid model integrating social life cycle assessment and input-output analysis was introduced to evaluate different social effects of biorefinery scenarios considering workers as the stakeholder category. Job creation, occupational accidents, wage profile, education profile, and gender profile were selected as the main inventory indicators. A case study of three scenarios considering variations in agricultural and industrial technologies (including sugarcane straw recovery and second-generation ethanol production, for instance) was carried out for evaluating present first-generation (1G-basic, 1G-optimized) and future first- and second-generation ethanol production (1G2G). The 1G-basic scenario leads to higher job creation levels over the supply chain mainly because of the influence of agricultural stage whose workers are mostly employed in sugarcane manual operations. On the other hand, 1G-optimized and 1G2G present supply chains are more reliant on the manufacturing, trade, and services sectors whose workers are associated with a lower level of occupational accidents, higher average wages, higher education level, and more participation of women in the work force. The use of a novel hybrid approach integrating social life cycle assessment (SLCA) and input-output analysis (IOA) was useful to quantitatively distinguish the social effects over different present and future sugarcane biorefinery supply chains. As a consequence, this approach is very useful to support decision-making processes aiming to improve the sustainability of sugarcane biorefineries taking social aspects into account. The authors are grateful to Coordenação de Aperfeiçoamento de Pessoal de Nível Superior - Capes, Conselho Nacional de Desenvolvimento Científico e Tecnológico - CNPq (project 453921/2014-0), and Fundação de Amparo à Pesquisa do Estado de São Paulo - FAPESP (projects 2012/15.359-1 and 2010/17139-3) for the financial support.